Ingredients in homemade dog food are important to get right. Some people enjoy cooking for their dogs and believe that a homemade diet of meat, whole grains, vegetables, and fruits is superior to a commercially prepared diet. Processed dog food is a relatively new phenomenon, and nutrition scientists don't yet fully understand the subtle differences that may exist between the absorption of nutrients in fresh food and the absorption of nutrients cooked out of a food then sprayed back on. Some people also believe that the extremely high heat and pressure used to produce extruded dog food may actually alter the protein structure in the meats used to make dry dog food. Again, scientists aren't yet sure whether such protein alteration has any adverse affect on the body, and because dogs fed commercial dog food remain healthy during regulated feeding trials, most people feel confident that such a diet is adequate for maintaining their dogs health. In addition, many dog owners don't have the time, inclination, or knowledge to cook for their dogs. Others fear that if they don't feed their dog commercially prepared dog food, their dogs may end up deprived of certain key nutrients, eventually degrading their health. These fears are legitimate. Dogs fed all-meat diets will suffer serious nutritional imbalances, and dogs who eat only what people eat may also suffer deficiencies and the problems that can result from too much high-fat, high-sugar, or highly processed food. Feeding a homemade diet takes some work and adherence to a specially formulated diet, not just offering table scraps. However, many dog owners who opt against commercial foods and are willing and able to learn about, prepare, and feed their dogs a homemade diet find it extremely rewarding, in the same way they are rewarded by cooking for their families. Seeing a dog relish a good homecooked meal feels great, especially when the dog enjoys improved health on such a diet. If you decide to prepare a homemade diet for your dog, research his nutritional needs as carefully as you would research any other aspect of his health and welfare. A basic formula for a homemade diet is 50 percent protein such as beef, chicken, or turkey; 25 percent grain such as rice or oatmeal; and 25 percent vegetables, ground so your dog can digest them. This formula can comprise a large variety of foods. Most proponents of homemade diets also recommend using supplements of certain vitamins, minerals, and flaxseed or other oils rich in omega-3 fatty acids for healthy skin and coat. Your vet or a homemade diet reference book can help you decide what supplements to use and in what amounts. The components of a homemade diet will be familiar to most people who cook for themselves. Some of the ingredients that should and should not be included in a healthy homemade diet are represented in the chart on the preceding page. Remember to pay attention to how your dog responds when making any dietary switches. If he gains or loses too much weight or begins to suffer other health problems, you may need to make some adjustments. Every dog is different, and not all dogs thrive on a homemade diet. Some may have trouble adjusting, and some may not like the food you prepare or may suffer (usually temporary) digestive upset during the switch. Changing the diet very gradually can help mitigate digestive upset. Be sure to tell your vet that you are feeding your dog a homemade diet. She may have some suggestions to help you tailor the diet for your dog. Homemade Dog BiscuitsYour dogs will love these dog biscuits. Preheat the oven to 350° F. Combine all ingredients in a large mixing bowl. Lightly pat your hands with flour and shape the mix into a big ball. Flatten the ball using a floured wooden rolling pin. Use a cookie cutter to cut the dough into triangles or starsor use a dog-shaped cookie cutter for a canine-styled design. Place the cookies on a greased cookie sheet. Bake for 25 minutes, or until lightly browned. Allow the cookies to cool completely before serving. A healthy, nutritious homemade coconut and pear dog cookie recipe that is grain free and egg free, making it ideal for dogs with allergies or food sensitivities! Minimal, healthy ingredients ensure that you and feeding your dogs food that is good for the body and tastes delicious! Coconut flour is grain and gluten free and is a healthy, low carbohydrate alternative to bleached grain flour. Coconut flour is especially good for helping to improve the skin and coat. Coconut oil is a healthy, easily digestible oil that helps improve the skin and coat condition! Raw, local honey is also great for dogs with allergies and provides a healthy sweetness to the treat! 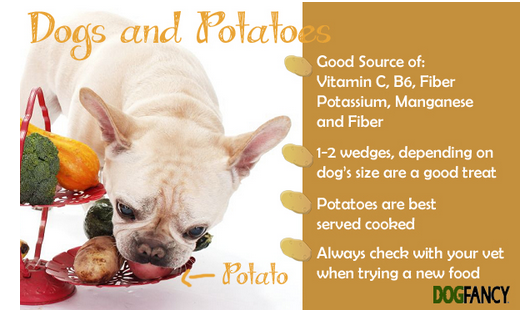 Lastly, this recipe uses pear puree (or baby food) as a main flavor ingredient and is sure to satisfy your dogs! *Pupsicles can be made in ice cube trays, muffin tins, paper cups or Popsicle molds, just make sure to keep them sized appropriately for your pet. Mix all ingredients together in a pitcher with a spout. Carefully pour the blend into empty ice cube trays. Store the trays in the freezer until the blend becomes solid. When ready to serve, pop the pupsicles out of the trays into a big serving dish. Pour a thin layer of orange juice in the ice cube tray. Mix the yogurt and banana together. Put a layer of this mixture on top of the frozen orange juice layer. Pour another layer of orange juice on top of the yogurt layer. When ready to serve, pop the creamsicles out of the trays into a big serving dish. Eggs - as many as you like! Put eggs in a pot and cover them with an inch of water. Put a cover on the pot and bring the water to a boil. Once boiling, remove the pot and let sit 15 minutes. Run eggs under cold water and place in refrigerator to cool. Once eggs are cooled peel and slice in half the long way. Add yogurt (approximately 1 Tbsp for every 2 eggs) and mix until you get a creamy consistency. Scoop mixture into the eggs, or if you want to be fancy, scoop mixture into a plastic bag. Cut the tip off of the bag and squeeze egg mixture back into the egg whites. Preheat the oven to 350°F. Hydrate the dog food with the warm water and stir. Thoroughly mix in the remaining ingredients to form a batter. 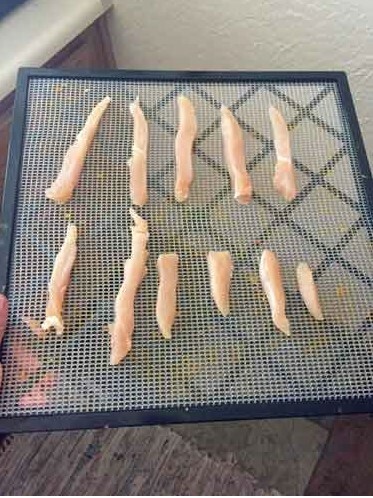 Use your hands to form the mixture into "football" shapes, and place onto a greased or non-stick baking sheet. Treats can be stored in an airtight container in the fridge. *Although avocado stones are poisonous to dogs (and the stone as well as the tough skin could potentially be a choking hazard), the flesh itself is fine for occasional feeding in small quantities, and is a great source of natural, healthy oils. Take care to keep avocado skin and stones out of your pet’s reach and dispose of them (as well as other hazardous food scraps like onion and cooked meat bones) in a secure trash can that they can’t easily raid while you’re enjoying the game. 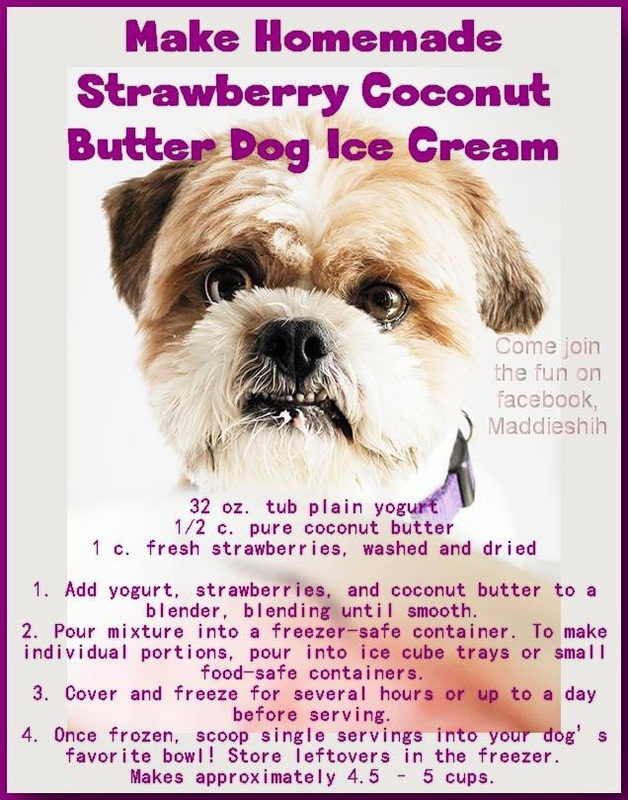 (This healthy recipe, featured in the Three Dog Bakery Cookbook (Andrews McMeel Publishing), comes courtesy of our friends at Three Dog Bakery. Preheat oven to 350 degrees. In a bowl, mix together honey, water, applesauce, vanilla and egg. Combine flour, apple chips, baking powder, cinnamon and nutmeg in a separate bowl and mix thoroughly. Add wet ingredients to dry and mix well, scraping sides and bottom of bowl to be sure no dry mixture is left. Spoon into greased muffin pans so that each cup is three-quarters full and bake for approximately 1 hour. Cool and store in a sealed container. Pour into an ice cube tray or into kid size paper cups. Put in the freezer and serve when frozen. Thin out the yogurt with the water (you can mix with a whisk or blender). Mix in the berries with a spoon. You can get creative with your ingredients. Just avoid anything dogs shouldn't eat, like sugar, artificial sweeteners (like xylitol), grapes and chocolate. Step 1 Place the banana in a blender or food processor. Add 32 ounces plain yogurt. Scoop 2 tsp. of peanut butter and 2 tsp. of honey into the mix. Alternatively, try goat's milk yogurt for a treat containing much less lactose. Step 2 Mix ingredients until well blended. Step 4 Fill an ice cube tray with the concoction to create handy bite-size pieces you can give to your dog when a regular-size frozen treat is too much. Step 5 Freeze the treats, then put them in a freezer bag for easy storage. Step 1 Prepare the basic recipe as above, using 32 ounces of yogurt and banana and omit the honey and peanut butter. Step 2 Add 1/4 cup strawberries, cranberries or blueberries for an antioxidant boost for your pup. Step 3 Alternatively, add one can of pumpkin to the basic recipe and add 1/8 tsp. of carob powder. Step 4 Mix and pour the mixture in the same manner as the basic recipe, and freeze. In a large bowl, combine all ingredients and mix well. Shape into patties and broil or saute in a skillet to medium rare. Serve at once. 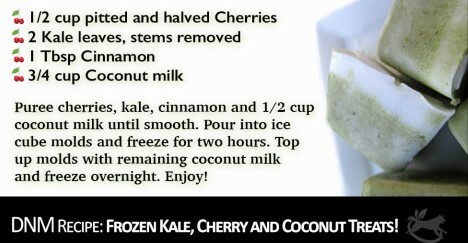 ( Kristina N. Lotz CPDT-KA From The Healthy Hound Cookbook– reprinted with permission). These yummy snacks a perfect way to celebrate Mom’s Day and your house will smell like peanut butter cookies while these tasty treats are in the oven! Be sure to keep the biscuits fairly uniform in size so they will bake and brown evenly in the oven. Preheat oven to 350 degrees Fahrenheit and grease two cookie sheets. Mix all ingredients, stirring until well-mixed and ready for kneading. Knead the dough on a lightly floured surface. Depending on the oil in your peanut butter, you might have to add a teaspoon of olive oil if you find the mixture is a little too crumbly. Roll the dough out to about ¼-inch thickness then cut the dough in desired shapes and place on your cookie sheets. Bake in preheated oven for about 25 minutes until lightly browned. Remove from the oven and cool completely before serving or refrigerating. This treat begs to be played with! 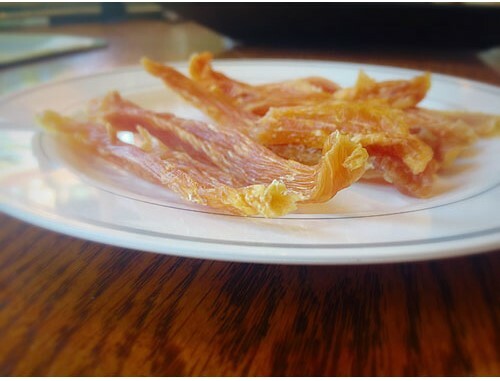 Try swapping the carob chips for bacon or liver pieces. Or, try rolling out the dough on a floured surface and cutting into your favorite fun doggy shapes. You can also use full size russet potatoes, but you will need to cut them into smaller pieces. Make sure they are an appropriate size for your dog so that they do not pose as a choking hazard. Bake again at 450 for 7-8 minutes or until cheese has melted. 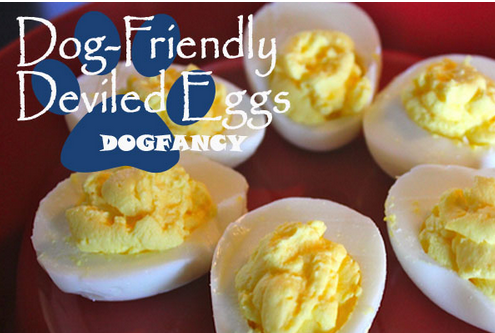 Easy to make our dogs gobbled them up. They would also make great dog lover gifts to take to your friends this holiday season or any time of year. Package them up in cellophane or a nice tin and you'll have your friends barking for the recipe. Treats should be fed in moderation. Consult your veterinarian any time you are making changes to your dogs food or diet. In a small mixing bowl, combine peanut butter with a little water or half a mashed banana. The water and banana aren't essential, but they help with freezing consistency. Spoon the mixture into the cubes, or drop onto the tray just like you would cookie dough. 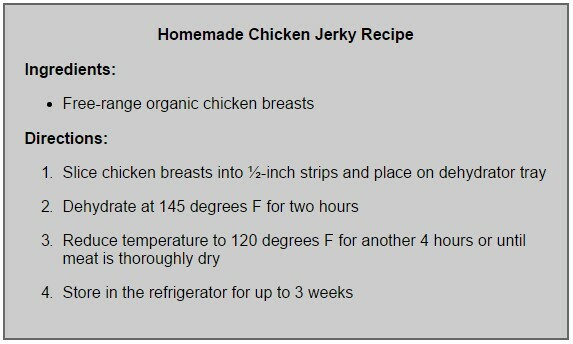 Freeze for several hours or overnight. If you need to reuse the tray right away, pop out the cubes and store them in a bag or container in the freezer. You can fill up a rubber Kong-style toy and freeze—a great cool-down treat for when you will be away for a few hours. Try treats suspended in water, watered down wet food, and favorite frozen veggies. Avoid: onions and onion powder, salt, macadamia nuts, tomatoes, potatoes, rhubarb leaves and stems, avocados, and anything else on this list. Mix carrots, broth, and flaxseed oil in a bowl. When ready to serve, peel Dixie cup away. 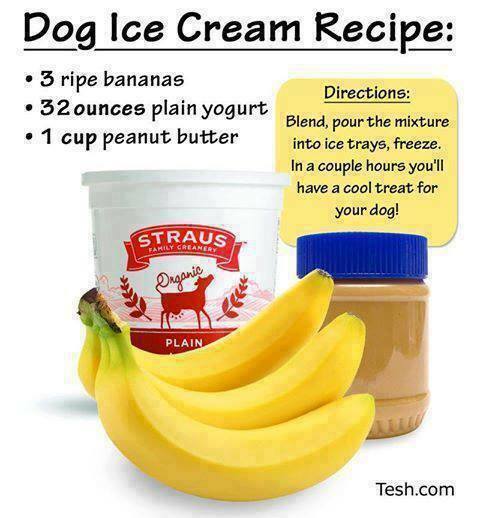 Your dog will love eating the frozen treat followed by a nice bully to chew on. Makes approximately 5 pupsicles. Take ingredients and blend in blender until they are about the consistency of a smoothie. Depending on type of peanut butter, you may need to add more water or oil to get it right. Blend strawberries, bananas and oil together. 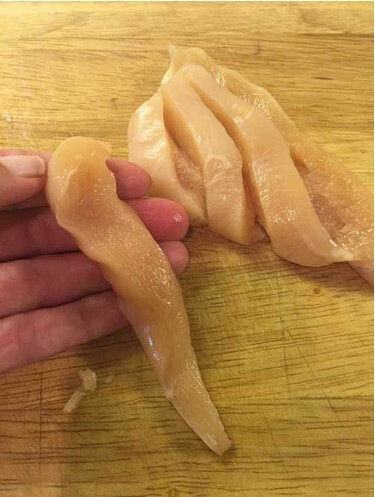 You want this to be thick, like soft serve ice cream. If too think, add water. Pour into a bowl or dish and serve immediately. OR, pour into paper cups and freeze for later.